Get the latest J.Alexander’s menu prices here. Known for its wood-fired cuisine, J.Alexander’s offers patrons a selection of truly American classic dishes plus fresh seafood, entree salads, sandwiches. Each location also offers a rotating selection of seasonal dishes. A classic meal is not complete without an extensive list of fine wines to choose from. Try by the glass or a bottle. Want to let someone know they are special or thank them for a job well done? J.Alexander’s offers gift cards in various denominations. Below are the latest J. Alexander’s menu prices. In-house salad dressings: Honey Dijon, Creamy Bleu Cheese, Classic Ranch, Kiawah Island, Champagne Vinaigrette, Cilantro Vinaigrette. We grind fresh chuck daily for our hand-pattied burgers. Steaks finished with Maitre d' butter and are grilled over a live hardwood fire. The mission of every J. Alexander’s restaurant is to provide you with a best dining experience possible, and the same old thing every time simply won’t do. That’s why there’s a very wide selection of dishes, with entrée salads and sandwiches, fresh seafood, and course steaks and prime ribs of beef. Specialties of various locations include Chicken Milanese, Grilled Fish (with Mango Papaya Salsa), Tuscan Steak, and Seafood Czarina. And of course, the full dining experience takes into account the quality of the wines as well. Here there is also a wide variety of options to choose from, and the wine can be served by the glass or by the bottle. The atmosphere is decidedly pleasant, and the service in every J. Alexander’s is both friendly and meticulously professional. All in all, a visit to any J. Alexander’s restaurant will always be exquisitely unforgettable. 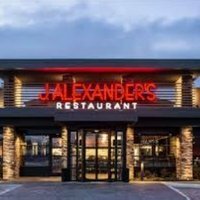 For more information about J. Alexander’s, visit their official website.